Interdisciplinary U4 Summer School in Gender Studies: theme "Methods, Methodologies and Ethics: Complexities and Responsibilities in Doing Gender Research" in Uppsala July 30 – August 3, 2018. July 16th - July 19th: elected to participate in the University Immersion Program (UIP) at the Sichuan University, Chengdu (China). One course: 'Literary Prizes and Awards in the Cultural Transfer of World Literature'. Inspiring expericience! Happy to be granted the ius promovendi ! The fifth edition of the UoG Summer School 'Beyond Horizons. Transmitting and Writing New Identities of Minorities and Migrants in and Beyond Europe' will take place from June 17 to June 22 2018 in Groningen. July 2th - July 16th: elected to participate in the University Immersion Program (UIP) at the Sichuan University, Chengdu (China). Two courses: 'Cultural Transfer History Approaches and Tools' and 'Great Poems and how they become World Literature'. Inspiring! - One month stay as LOTUS2 Scholarship holder (Erasmus Mundus Action 2 scholarship) at the Sichuan University (China) to develop collaboration within the field of cultural transfer studies, translation studies and European languages and cultures together with colleagues at the Sichuan University. The LOTUS 2 project is funded by the European Commission and awards scholarships to excellent researchers from Asia and Europe to complete an exchange at one of nine universities in Europe or one of seven universities in South Asia. - 12 August short talk about Sámi writers in the show 'Met het oog op morgen' (NPO1). - Summerschool Beyond HorizonsTransmitting and Writing New Identities of Minorities and Migrants in Europe, 13 June - 17 June. - 13 June Studio talk in Sportzomer Radio NPO1, Hilversum. Match Ireland - Sweden. Amongst others about Zlatan and Swedish culture. - Petra Broomans has been awarded a scholarship (SEK 10.000,-) by the Swedish Institute (Stockholm) for a stay at the Södertörn University and to examine the records in the Royal Library in Stockholm. In August she collaborated with the designers and editors of the Svenskt översättarlexikon (The Swedish Translator Lexicon, SÖL) at Södertörn University to investigate the possibilities for developing a Dutch Translator Lexicon. - Petra Broomans has been awarded an Erasmus Mundus Action 2 scholarship and is now a LOTUS2 Scholarship holder. She will stay one month at the Sichuan University (China) to develop collaboration within the field of cultural transfer studies, translation studies and European languages and cultures together with colleagues at the Sichuan University. - Summerschool Beyond HorizonsTransmitting and Writing New Identities of Minorities and Migrants in Europe, 21 June - 26 June. - Petra Broomans was appointed as the new president of the International Organisation of Scandinavian Studies (IASS) on the General Meeting during the 30th biennial conference of IASS at the University of Agder (Kristiansand, Norway) 5-9 August 2014.The theme of this international conference was ‘Litteratur inter artes’. In the key note lectures and the sessions the theme was examined by scholars from Scandinavia and from outside Scandinavia. IASS is the largest international organization in the field of the academic study of Scandinavian cultures and literature. The first conference was held in 1956. In 2016 Groningen will host the 31th conference. The conference theme is 'Transit Norden och Europa'. - In June Petra Broomans and Ester Sjölin traveled China: Chengdu, Leshan, Jingdehzen, Ningbo and Shanghai. Visiting three universities (in Chengdu, Leshan and Ningbo) with excellent departments in the field of translation studies, cultural transfer and English language and literature. In Jingdehzen we visited a.o. the kilns where porcelain is produced for more than 1700 years. - April 5, Book presentation in Amsterdam: The Swedes and the Dutch were made for each other - 400 years of Swedish-Dutch relations! 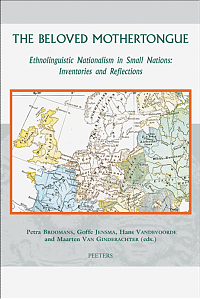 - Zweedse en Zweedstalige Finse auteurs in Nederlandse vertaling 1491-2007. Een bibliografie / Svenska och finlandssvenska författare i nederländsk översättning. En bibliografi vol 6 in the series Studies on Cultural Transfer and Transmission (CTaT), Barkhuis Publishing, Groningen, 2013, VII, 339 pp. Moderator vertaalatelier literair vertalen Zweeds-Nederlands, Expertise Centrum Literair Vertalen, Antwerp, 4-5 November 2013. Petra Broomans got her BasisKwalificatie Onderwijs /Basic Teaching Qualification (BKO) - certificate! - Noorse auteurs in Nederlandse vertaling 1741-2012. Een bibliografie - Norske forfattere oversatt til nederlandsk 1741-2012. En bibliografi. Raf De Saeger. Onder redactie van / under redaksjon av Petra Broomans & Janke Klok. 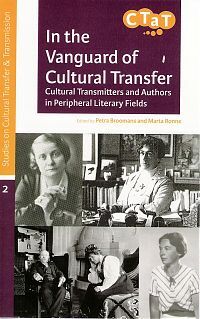 vol 5 in the series Studies on Cultural Transfer and Transmission (CTaT), Barkhuis Publishing, Groningen, 2013, 309 pp. June 25th Els Biesemans got her PhD from the University of Ghent with the thesis Vertalers van Scandinavische literatuur naar het Nederlands tussen 1860 en 1940. Ghent 2013 (project: 'The reception of Scandinavian Literature in The Netherlands and Flanders 1860-1940. A Comparative Analysis of the Role of Networks and of the Impact of the Ethnolinguistic Discourse’). (project Scandinavian Literature in Europe around 1900: the Influence of Language Politics, Gender and Aesthetics). Grant for ´Traveling Ideas in the Nineteenth Century´. Petra Broomans and Janke Klok were awarded a grant of DKK 55.000 by the Nordic Council ( Samarbejdsnævnet for Nordenundervisning i udlandet (SNU)) for the project´Ideer på reisefot. 1800-tallets utveksling av vitenskap og kultur mellom Norden og Europa - nordiske forfattere og tenkere i europeisk perspektiv´. In December 2013 a symposium will be organized about this theme. Petra Broomans and Sandra van Voorst (Eds. ), Karina Smits (Assistant Ed. ), Rethinking Cultural Transfer and Transmission. Reflections and New Perspectives, vol 4 in the series Studies on Cultural Transfer and Transmission (CTaT), Barkhuis Publishing, Groningen, 2012, 169 pp. 27 June - Some words about Swedish crime fiction - Mankell paved the way for Larsson! Petra Broomans and Ester Jiresch (eds. ), The Invasion of Books in Peripheral Literary Fields. Transmitting Preferences and Images in Media, Networks and Translation vol 3 in the series Studies on Cultural Transfer and Transmission (CTaT), Barkhuis Publishing, Groningen, 2011, 237 pp. The Department of Scandinavian Studies (applicant Petra Broomans) was awarded a grant of SEK 50.000,- from the Swedish Institute for the organization of activities within the framework of the STRINDBERG 2012 anniversary. About Women and Science. The third item is on women cultural transmitters. Petra Broomans and Marta Ronne (eds. ), In the Vanguard of Cultural Transfer. Cultural Transmitters and Authors in Peripheral Literary Fields. Text, Transmission, Reception. A multidisciplinary conference at Radboud University Nijmegen - October 28-29. September 10: Radio Programme 'Met het oog op morgen'. Between 2 and 7 August 2010, the 28th conference of the International Association of Scandinavian Studies (IASS) took place at the University of Lund, Sweden. IASS is the largest international organization in the field of the academic study of Scandinavian cultures and literature. The theme of this international conference was ‘Translation - Adaptation, Interpretation, Transformation’ and with varying approaches the translation process in the broadest sense of the word was examined in about 200 sessions. During the Annual General Meeting, traditionally held during this conference, Dr Petra Broomans was nominated and then appointed board member of IASS. Petra Broomans then proposed the University of Groningen as a candidate for the 31st IASS conference, in 2016. The last time an IASS conference was held in a Dutch-speaking country was in 1960. The next IASS conferences will be organized by Latvijas Universitāte in Riga (Letland, 2010) and Universitetet I Agder in Kristiansand (Norway, 2014). June 17: New Nuclear Reactors in Sweden? ’Svensk litteratur 2010: stora berättelser, bovar och manifest’, Scandinavisch vertaalsymposium, Universiteit van Amsterdam, Lecture on 2 June. 'Drottningen är död. Länge leve hennes klänning! Undersökningen av drottning Kristinas av Sverige kvarlevor och begravningsdräkt’, Dag Hammarskjöld Vorlesungen, Humboldt Universität, Berlijn, Lecture on 31 May. Petra Broomans was awarded a grant of SEK 10.000,- from the Swedish Institute for a short visit stay in Stockholm. She will work at the Royal Library and give a lecture about the bibliography of translations of Swedish books into Dutch (Broomans, Groen and Kroon, ‘Zweedse Literatuur in Nederland en Vlaanderen en supplement Fins - Zweeds in vertaling) at the Department of Baltic Languages, Finnish and German (the Dutch section) on May 11 2010. 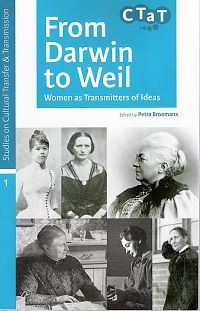 New series: Studies on Cultural Transfer and Transmission (CTaT), published by Barkhuis Publishing, series editor: Petra Broomans. Was launched in November 2008! Symposium Cultural Transfer and Minor Language Areas very successful! Petra Broomans and Janke Klok were awarded a grant of DKK 50.000 by the Nordic Council for the project Cultural Transfer and Minor Language Areas. In November 2008 a symposium will be organized about this theme. Part of the project is a cultural event about the Norwegian poet O.H. Hauge. In Groningen Roald van Elswijk (1974) is appointed to the project ‘The reception of Scandinavian Literature in The Netherlands and Flanders 1860-1940. A Comparative Analysis of the Role of Networks and of the Impact of the Ethnolinguistic Discourse’. He currently writes a Ph.D. on “The image of ‘the Other/Self’ and the discourse on national identity in reception documents”, by means of a content analysis of both reception documents and ego documents. More specifically, Roald van Elswijk will analyse the discourse about cultural and national identity in these documents. Dr. P. (Petra) Broomans (Scandinavian Languages and Cultures) was awarded a grant of € 160,000 by the Flemish-Dutch Committee (VNC) of NWO for the research proposal ‘The reception of Scandinavian Literature in The Netherlands and Flanders 1860-1940. A Comparative Analysis of the Role of Networks and of the Impact of the Ethnolinguistic Discourse’. This application was submitted together with the sister department of the University of Ghent. Prof. G. (Godelieve) Laureys, the co-applicant, received the same amount. This research programme will examine two aspects in detail, each as a sub-project. The first sub-project, ‘Scandinavian networks in the Netherlands and Flanders’, will be conducted by a research assistant in Ghent and consists of a microanalysis of the relevant networks. The second sub-project, ‘The perception of the "other/self” and the discourse about national identity in reception documents’, which will be conducted in Groningen, consists of a microanalysis of reception texts. Senior researchers from the Netherlands and Flanders are also involved in the project. The PhD student in Groningen is the second to be appointed to conduct research within P. Broomans’ research line ‘Scandinavian Literature in Europe around 1900: the Influence of Language Politics, Gender and Aesthetics’. Ms E. Jiresch was appointed to this project in 2005.